I’ve just had a talking to by a police officer for taking photo’s of a police van parked in the contraflow cycle lane on Castle Street. He wasn’t too keen on me doing this, he said that I was very conspicuous and perhaps putting myself in danger, he understood that I was there because of the taxis. I was stood outside the police station, scoping out current behavior, not taking photos, there are still plenty of taxis parking illegally, I saw 4 in a 15 minute window, I started taking photos when the police van turned up. He said that the police have to park in this location to drop officers off at the station, I asked about their car park, he said that the vehicles could not fit because of low clearance. I said that cyclists had been given assurances at Council Meetings by police representatives that they understood it was dangerous and a hazard for cyclists if vehicles were parked in the contraflow lane. He said that the city centre was busy and if they had to park in normal spaces they’d never be able to get anything done. 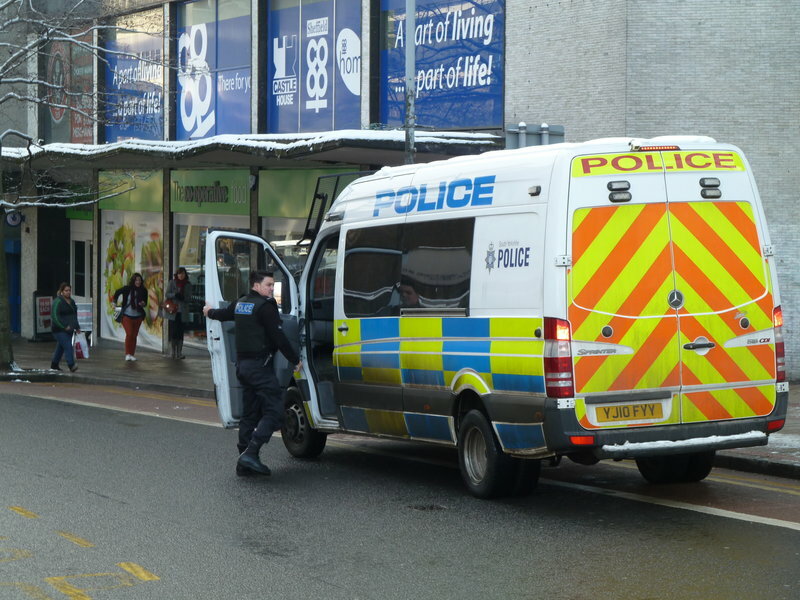 This entry was posted in Castle Street, infrastructure, police on January 22, 2013 by Matt. I once got stopped by police doing random breath checks when I was driving. They gestured me to pull over into the cycle lane, just as a bike was coming… as moronic as most other road users. Bad example to set. That’s interesting. 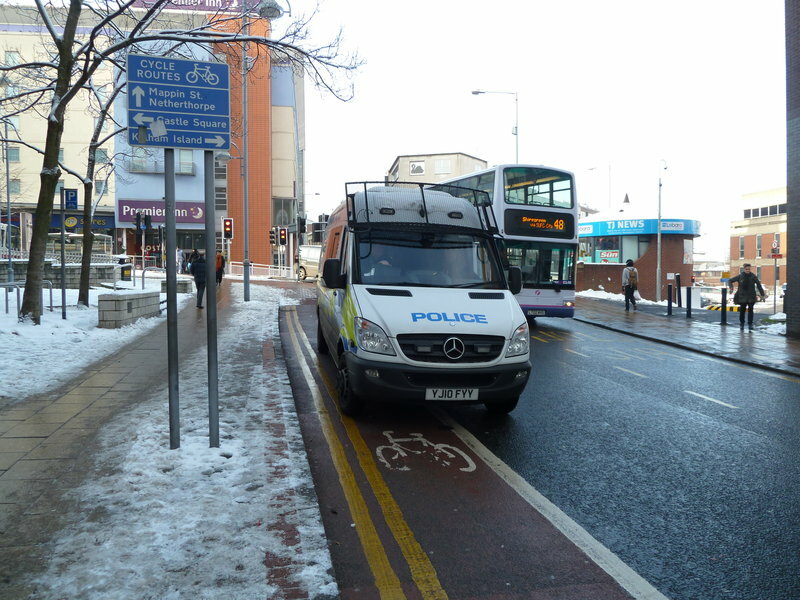 I think the highway code says if a policeman pull you over then to pull over where safe… I wonder what would have happened if you’d carried on and parked up further on beyond the cycle lane?